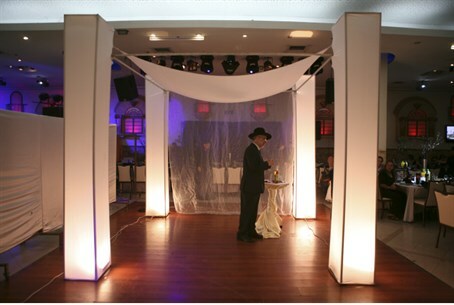 MainAll NewsFocus on the Jewish Family‏​SHIDDUCHIM Networking - and More! ​SHIDDUCHIM Networking - and More! YUConnects, Orthodox Judaism's premier dating resource, offers matchmakers and also tools to start making matches yourself. Yes, we all know that making shidduchim can be as difficult as “splitting the sea” and at this time of the year, everyone wishes they can make miracles happen. Well, everyone certainly can try their best to offer match suggestions, recommend ideas for others and do their part in building future Jewish homes. At YUConnects, Orthodoxy’s premier dating resource, the program not only offers a state-of-the-art matchmaking website - with 193 engagements and hundreds of dates arranged each week. Another mission of the program is to empower communities and individuals to enter the realm of matchmaking, create unique social events for singles and open up even more opportunities for individuals to meet. Available to the entire Jewish population, and not just YU students, YUConnects has the ability to undertake academic research and serve as an educational tool to those entering the dating arena. A happy byproduct allows frequent conversations with those who are unmarried as well as newly married couples as they retain a connection to the program. Start with Your List - Then Make a List! Begin with your wedding or contact list of friends who you know well. Create columns of men and women any way that works best: spreadsheets, phone app, index cards, or old-fashioned paper and pen. Include Only Basics - Make it easy on yourself since you know these people already. Name, age, general background information; don’t need to write where they spent their summer in freshman year! Just Pick Up The Phone - Sometimes people discuss ideas and are well intentioned, but forget to follow through. Once you make the phone call with the suggestion, you are well on your way. It’s a Guy Thing – Often times, suggestions to a man are more successful when coming from a man. Encourage your husband to speak with his friends. Positive and Upbeat - Everyone wants to date someone “special.” When you suggest a match idea, sound positive without being pushy. No Time? No Problem - Matchmaking takes time and effort (but is worth it). If you don’t have the time now to follow-up on with a good idea, pass it along to someone who can. Update and Refresh - Once or twice a month, take a look at your list and remove those who may be engaged or married. Mark accordingly. Expand your network - Set someone up even if you are not very close. If it doesn’t work out, use the opportunity to make a new friend and try again. Team-Up With YUConnects – If you have any questions, YUConnects is available to provide resources and mentoring for any relationship. Call anytime 212-960-5400 X 6163. Recycling is Good For The (Dating) World - Did you go out with someone? Not for you? Even if awkward, you may now have a great idea for a friend. Bounce Ideas in Groups - Shabbos meals with friends are perfect occasions for new suggestions, keeping in mind the guidelines of power of speech. YOUR Marriage Comes First - Don’t let it consume your life. Make sure to prioritize your time with your spouse. Making matches does take time and effort, but remember, you can talk about other topics at the supper table too! Worried you will Feel Pressured? If requests for assistance can’t always be accommodated, be sure to remind your friends that you care and want for their happiness. People appreciate knowing you are trying and thinking of them. Have Real Passion- and Time? If you find that matchmaking has become part of your blood, consider becoming a YUConnects Connector (matchmaker). Devoting six hours a week is necessary but you will have a wonderful website and resources to focus your efforts. Success is Worth it all! Should Hashem bless you with helping to make a marriage, that feeling of joy and accomplishment is precious! May we all be His partner in building future Jewish homes. YUConnects is a self-funded organization whose budget stems from the generosity of donors. To learn more about the program and ways to assist family and friends, the community is invited to a Benefit Breakfast on Sunday morning, April 26th at 9:30 a.m. at the home of Jay and Malky Spector in Lawrence. Email yuconnects@yu.edu or call Marjorie Glatt at 516-603-8141 with any questions. Special thanks to Brooke Reich, Kira Rhine and Elana Glatt for contributing to this article.